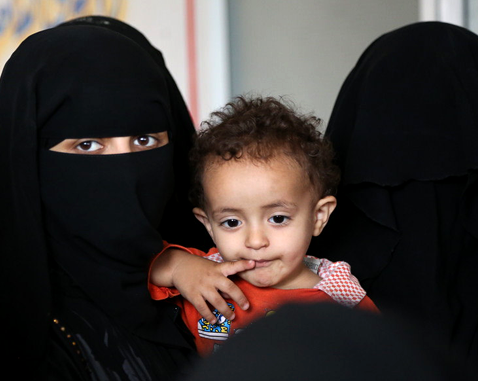 In Yemen, humanitarian needs remain high despite efforts to renew peace talks. The country is in the midst of a protracted political, humanitarian and developmental crisis. Violence against civilians and their assets is causing immense suffering. The entire population of 22.2 million people require assistance, including 2 million internally displaced people. Women and children make up 76 per cent of those displaced and are paying the heaviest price, as in most humanitarian crises. There are an estimated 3 million women and girls of childbearing age who need support. Rising food shortages have left an estimated 1.1 million pregnant women malnourished, and threaten the lives of 75,000 women who are likely to develop complications during childbirth, including risks of stunted growth of their newborns. UNFPA is leading the gender-based violence sub-cluster and is actively participating in coordination meetings.